The African Content Movement founder was in fine form in an interview in which he denied ever lying about having a matric. 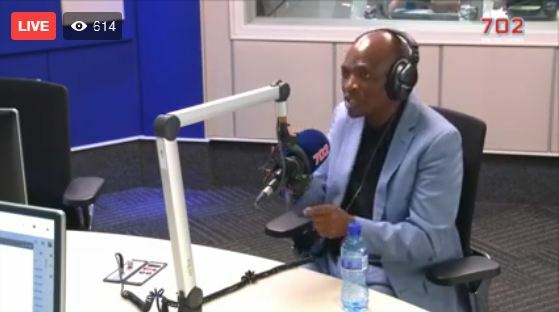 Former SABC COO and founder of new political party the African Content Movement Hlaudi Motsoeneng faced some difficult questions in an interview on 702 and Cape Talk with Eusebius McKaiser, but didn’t seem too fazed, as, in his view, the radio host is not a “credible person”. “I don’t find you [a] credible person because already you have your own news, which means, already, you are pushing your own agenda,” he said. “As a journalist, you must listen to the facts,” he continued. Motsoeneng was answering a question about whether he had taken then Public Protector Thuli Madonsela’s report on mismanagement and misconduct at the SABC, on review. “I can’t give you yes and no, I must give you the proper answer,” Motsoeneng said. When asked to answer the question directly, the former SABC COO said: “I was cleared by an advocate, in any case, a white person”. McKaiser then took Motoseneng to task over the relevance of the race of the advocate. Motsoeneng did eventually answer the question, saying he was advised by lawyers not to attempt to take the report on judicial review as he was told it “has nothing to do with you”. Shortly afterwards, however, things briefly deteriorated, with Motsoeneng questioning his interviewers’ credibility. McKaiser confronted the former COO on “grossly irresponsible decisions” he’d made while at the public broadcaster. “If you can’t run the SABC hygienically, how can you expect us to give you the keys to the whole country,” McKaiser said, leading to a brief war of wars between the presenter and his interview subject. Motsoeneng also denied Madonsela’s finding in her report that he had lied about having a matric. Her report found that his appointment was irregular as a result. “I never said I had a matric,” he claimed.